Our long-range lightning detectors are helpful for advance planning, and can track and display lightning storms in real time on a PC or laptop up to 300 miles away. 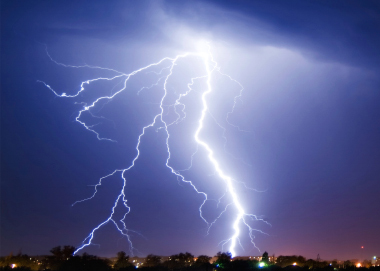 Our short-range EFM-100 lightning detector is used for alerting of nearby thunderstorms (up to 24 miles/38 km away) and also has the ability to detect high electric-field conditions which precede the first lightning strike. For close lightning strikes the EFM-100’s accuracy is unsurpassed. 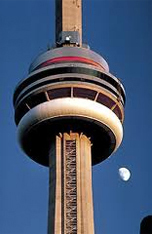 Boltek was proud to be chosen as the supplier of lightning detection products for Toronto’s landmark CN Tower. The CN Tower EdgeWalk operates seasonally from April to October in all weather except for electrical storms and high winds. The detection of lightning is a crucial factor within the structure’s safety program and the use of Boltek products is a testament to the company. 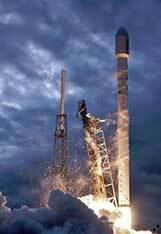 SpaceX uses three EFM-100 Atmospheric Electric Field Monitors at their Cape Canaveral Launch Site to watch for nearby lightning and high electric fields. Ever since November 14, 1969 when Apollo 12 was struck by lightning only seconds after launch crashing their onboard systems, there has been a keen awareness at Cape Canaveral to the hazards of lightning. Measuring the ambient electric-field is how you make sure there are no charged thunderclouds overhead.